This 22mm. 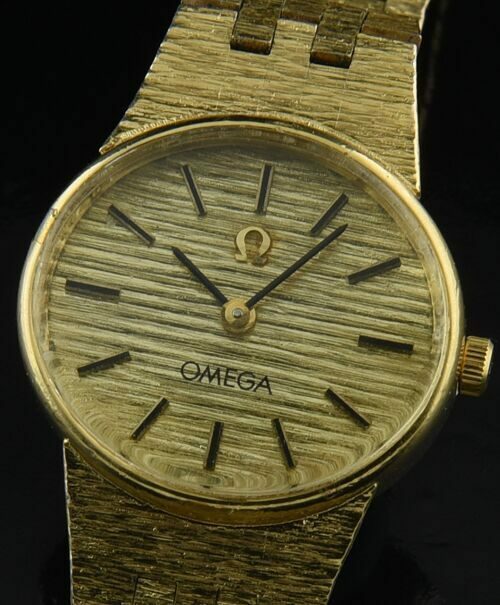 wide oval shaped ladies gold plated OMEGA from the 1980’s in a very high quality watch. The manual winding OMEGA movement was just cleaned and accurate. 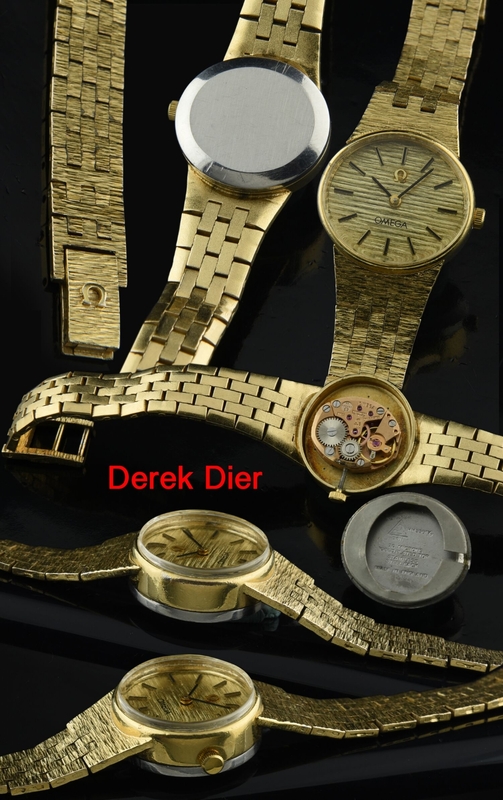 The original gold dial and matching integrated bracelet doubles as a piece of jewelry and a functional timepiece. The finely made brick link bracelet will fit up to a 6.5″ wrist. I’m pricing this to sell fast.